Last year a friend invited me to attend a talk about stem cell treatment. Coming from the medical industry, I find these things interesting aside from the fact that I have relatives who had cancer. My grandfather died of bone marrow cancer. After the talk, I realized how amazing an umbilical cord blood could save one's life. Cordlife Philippines is the country's first and only DOH-registered Cord Blood Bank and part of the largest stem cell banking network in Asia. Cord blood is a newfound and non-controversial source of stem cells that saved thousands of children from dreaded diseases through 40,000 cord blood stem cell procedures performed to date. Unfortunately, it's not yet popular in the country but through dissemination of information more people will take it into consideration. In 1998, successful cord blood stem cell transplant was performed by Dr. Eliane Luckman in France. The procedure saved the life of a young boy suffering from Fanconi Anemia. It's a genetic blood disease that affects the bone marrow. Cord blood is the blood that remains in the umbilical cord after birth. It contains the healthiest stem cells that can replenish blood, regenerate damaged bone marrow, treat blood cancers and correct genetic defects. Parents will decide if cord blood will be collected. Cordlife Philippines will collect cord blood and bring to the facility in Quezon City. It will be kept indefinitely or until 18 years. Today, Cordlife celebrates World Cord Blood Day, the first eve World Cord Blood Day. This advocacy aims to promote awareness and promote education on the importance and benefits of saving cord-blood for treatment of leukemia. 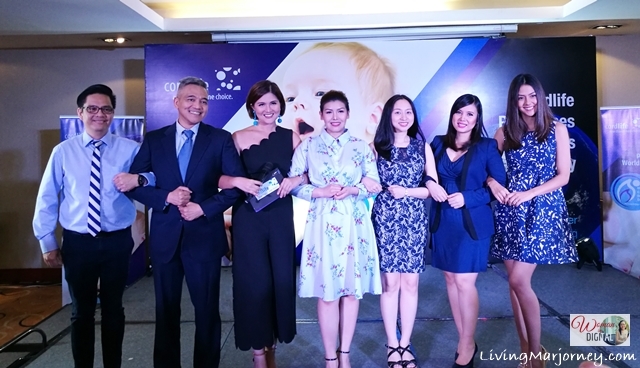 Ceremonial pact between Cordlife Philippines and its partners - Vanessa Matsunaga, Nina Corpuz and host Dimples Romana. 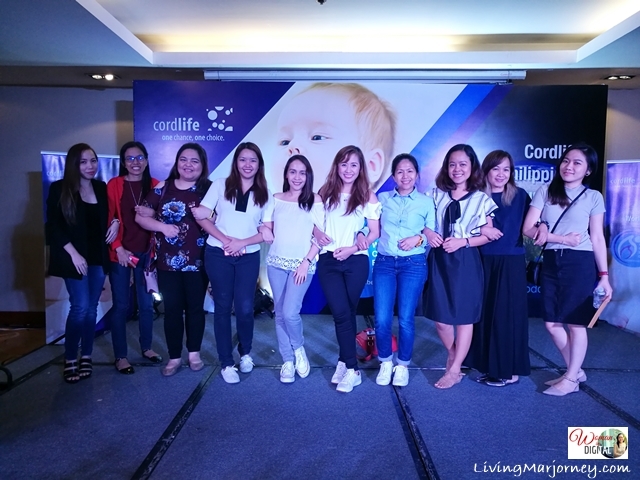 Cordlife Philippines together with its ambassadors and their families celebrate World Cord Blood Day today to further raise awareness on cord blood banking and the benefits of cord blood in treating several life-threatening diseases such as leukemia, lympoma and other blood disorders.